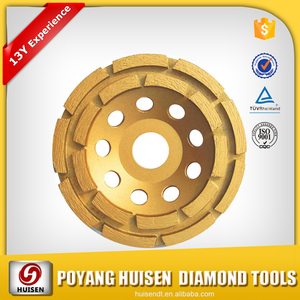 Norton grinding wheels Huisen profoessional factory offer Norton grinding wheels : 1. Very Good Abrasion Resistance 2. High grinding efficiency 3. Least Resistance to Damage 4. Chemical Stability 5. Customized design is available 6. 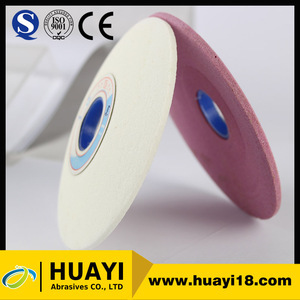 Heat and Wear Resistance Application of the vitrified Norton grinding wheels : 1. Rough diamond polishing 2. Tungsten carbide grinding 3 . 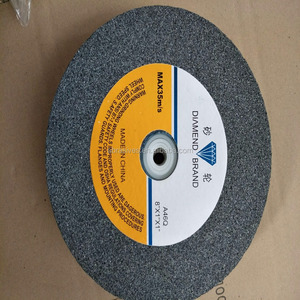 Specification of Diamond Polishing Pad Identification Diametet(in/mm) Grain size GP080 3"/80 280,400,800,1200,3000 GP100 4"/100 GP125 5"/125 PRODUCT APPLICATION:Be widely used for polishing of all kinds of granite,marble,cement products etc. 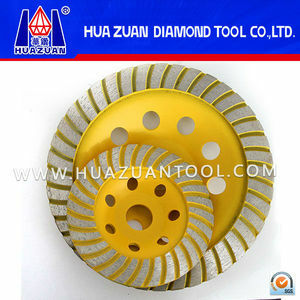 Diamond Segment Diamond Wire Saws Diamond Blades Diamond Bit Diamond Grinding Wheel Quality is our culture , Huisen Diamond Tools , your reliable partner , contact now , we offer big discount . 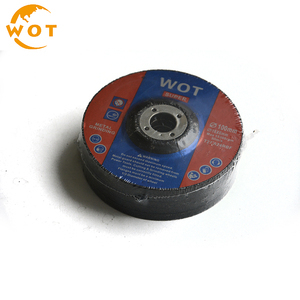 User instruction of wet grinding wheel 1) 4 inch wet grinding wheel, thickness of disc is 4mm, outer diameter 4inch, in depressed center. Used for polishing welding machine, angle polish, edge polishing, flat surface polish, metal bur smoothing. 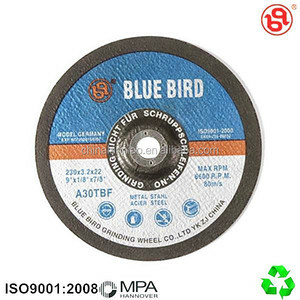 2) This 4inch wet grinding wheel has advantages for grinding ordinary steel, ordinary metal. 2 YRS Nanjing Timeless Machinery International Trading Co., Ltd.
5 YRS Zhengzhou Hanhang Trading Co., Ltd.
2.You are Manufacturer or trading company 9 We are Manufacturer in Zhengzhou city, HeNan Province,China. 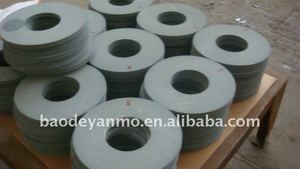 Besides, these grinding Wheels and stainless steel cut off wheels have longer functional life than others. With our experience we are able to source the best raw materials, both imported and indigenous. , a famous specialized resin abrasive tools manufacturer, one of the most influential companies in Asia. It makes each grain of raw material maximizing the performance and then ensure the high quality and stability of products. 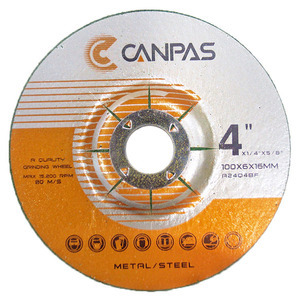 All our cutting wheels and grinding wheels will pass the semi-product testing, finished-product testing and inspection before delivering. Package Carton box for each piece or customers requirement Delivery 7-12 days upon receiving payment Certification: ISO9001, SGS Product Quality Control Main Market: USA, Canada, Germany, Italy, Portugal, Poland, Russia, Brazil, Chile, Australia, UAE, South Africa etc. 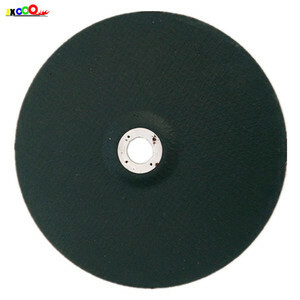 Our main products are various of specification diamond saw blades, flexible polishing pads, diamond grinding wheels, diamond segments, diamond wire and abrasives etc. At present, our products are mainly exported to USA, Canada, Germany, Italy, Portugal, Poland, Russia, Brazil, Chile, Australia, UAE, South Africa,India, Pakistan ,Israel, etc. 3) Q: Where is your production base9 - Our factories located in Yantai city ,Shandong province . 7) What is the delivery time9 -30 days for 1 container order. 9 ) Can we use our own packing design9 -Yes, you can. packing&shipping0 Packing details : shrink and inner box and outer carton. company introduce Our company adopt the advanced producing process with the top ranking equipment, and ensure that every product pass the strict quality testing and inspection . with high products quality and good after sale-service . 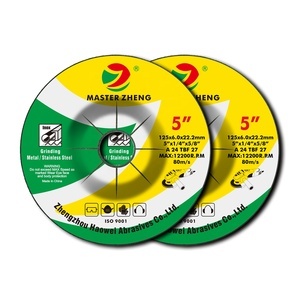 Alibaba.com offers 437 norton grinding wheels products. About 43% of these are abrasive tools. A wide variety of norton grinding wheels options are available to you, such as free samples. There are 437 norton grinding wheels suppliers, mainly located in Asia. The top supplying country is China (Mainland), which supply 100% of norton grinding wheels respectively. Norton grinding wheels products are most popular in Domestic Market, Western Europe, and North America. You can ensure product safety by selecting from certified suppliers, including 270 with ISO9001, 25 with Other, and 9 with OHSAS18001 certification.